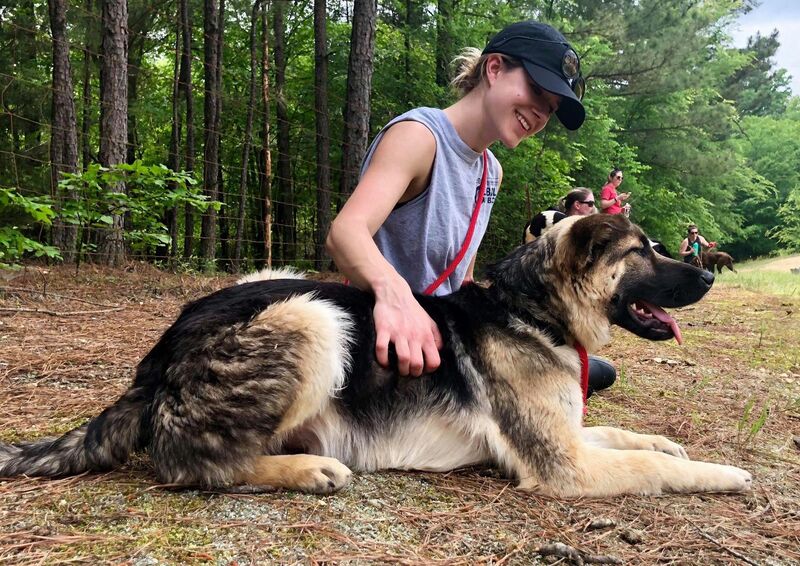 Event Team Lead, foster, & volunteer Everyone tells you it is going to be hard to see the dogs in the shelter but that coming on the service trip is worth it. This is day 2 and I believe them. We started with some pups in outdoor kennels. They hadn’t been on leashes before so we played a great game of chase and lasso. 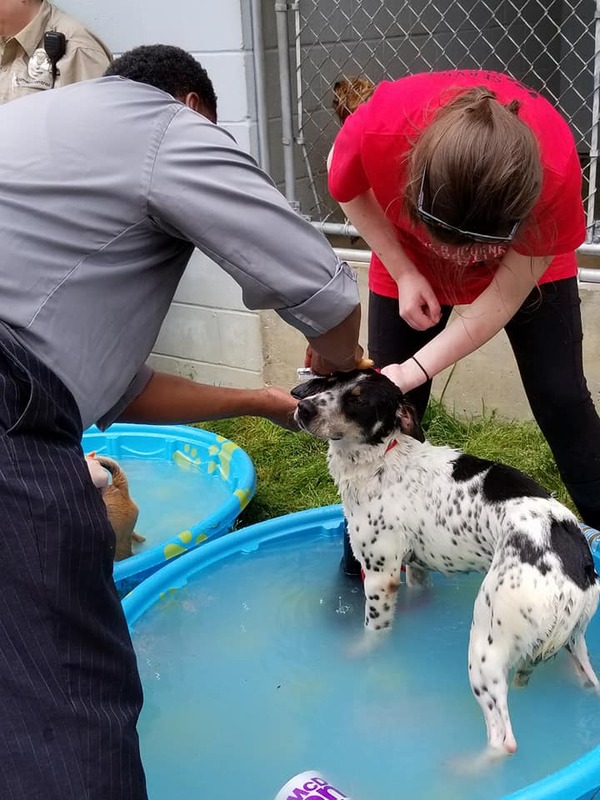 We wanted to just let them run around and play with them, but we had work to do – they needed heartworm tests and nail clips. Of course there was time for snuggles and treats too. We spent the afternoon at the pound in Camden. The Police Chief and ACOs spent time talking to us about their day-to-day work and all the positive changes they’ve worked hard to implement since they took over. They were incredibly kind and appreciated us coming down – the Chief even opened his air conditioned conference room up for us! This may sound trivial, but down here it can be a rarity. Many Police don’t support the work of animal rescues. 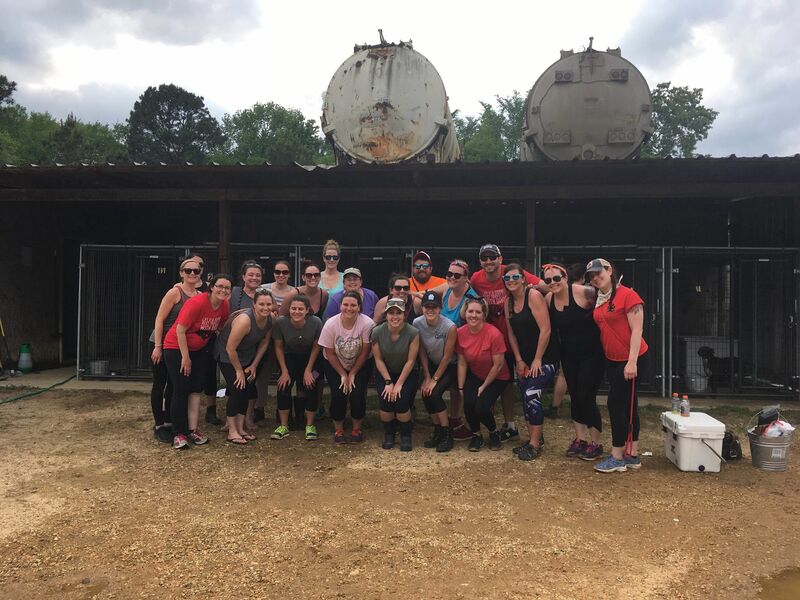 At the pound, we cleaned cages, built beds, and washed dogs. The puppies got some socialization time in the play yard. And of course, more heartworm testing. It was a long day and I didn’t get to squish as many dogs as I would have liked but I was able to sit with a pup while she dried off from her bath. She was happy to be in a lap and gave me kisses. As we were packing up, it started to rain. As we drove away, the rain got more intense. All I could think about were the pups from this morning. In their outdoor kennels. I can picture them huddled in their dog houses. I hope they aren’t too cold. I hope they dream about the fun day they had running around with us. I hope I get to see them up north, finding their forever homes. Today, we visited the City of Warren where the Mayor and his wife welcomed LHK9 with open arms! Warren Animal Shelter is entirely outdoor with 6 kennels, so we were really able to get to know each dog. In kennel 1 was Thunder, a German Shepherd who is heartworm positive and in severe need of a dental surgery. In kennel 2 was Gosling, a brindle mixed breed who would do anything for a belly rub. In kennel 3 were Cow and Duck, best friends with opposite personalities. In kennel 4 were Sterling and his friend Chicken, who are pretty perfect pups. In kennel 5 were Cindy and Foxy Girl who are bouncy beautiful babes. And lastly, in kennel 6, was a pup with the PAWfect Boston name: Baked Bean! These 9 sweet, friendly, adoptable dogs received a well deserved spa day and home makeover while they wait for a foster or a FURever home. 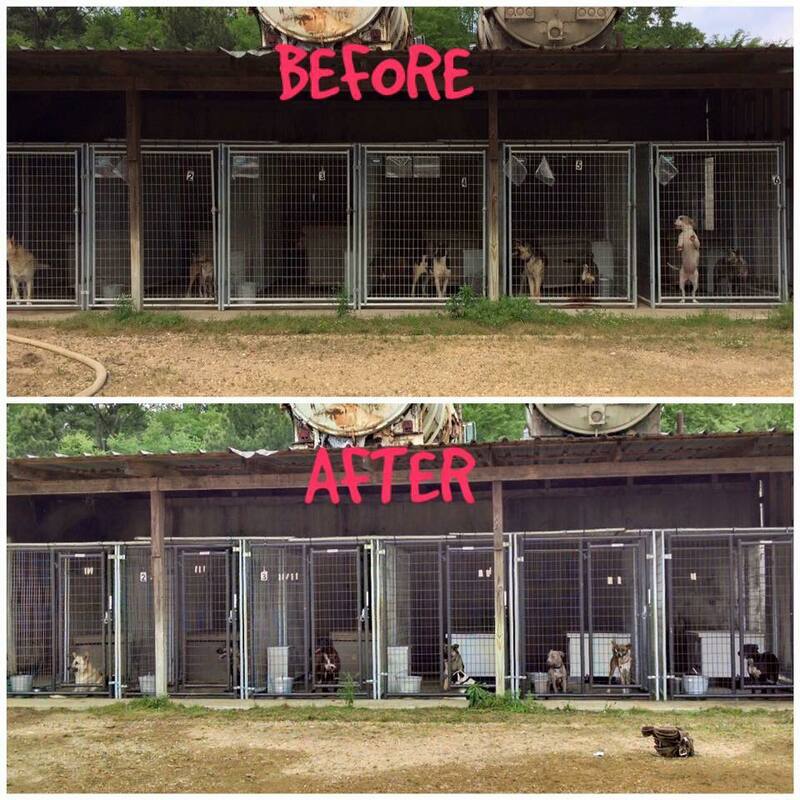 We replaced all kennel doors with safer gates, replaced the food containers and kennel feeders, built new insulated dog houses to protect them from the elements, and of course deep cleaned the kennels and bathed/vaccinated/HW tested the dogs. 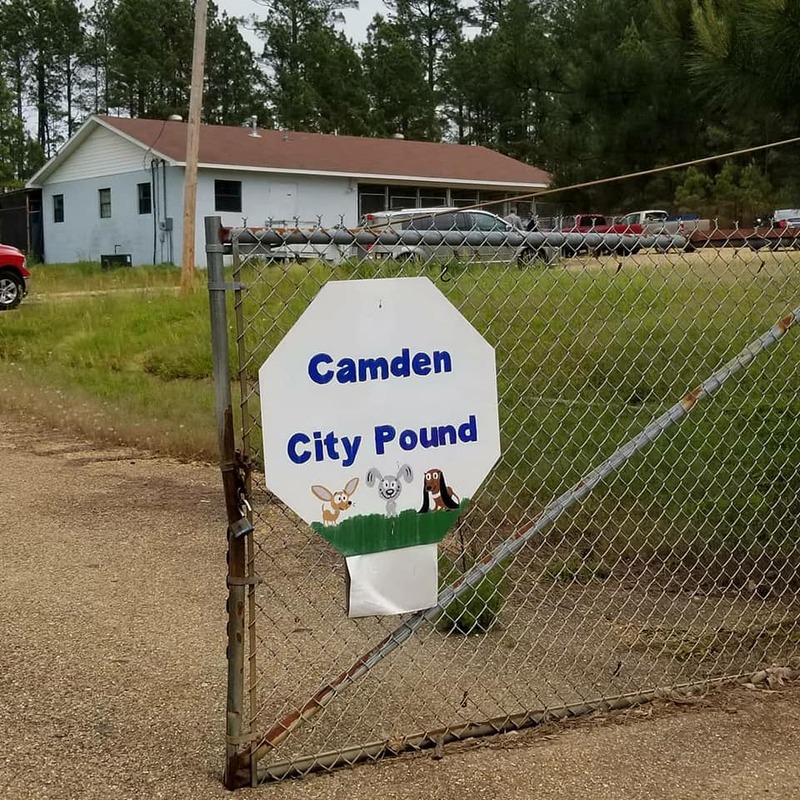 At the end of the day, in is a symbolic gesture of the excruciating decisions the shelter leads must make every day, each volunteer was given a clothes pin to clip onto their favorite dog’s kennel in hopes that they will come up north to LHK9. Leaving the pups in an outdoor shelter, especially in the rain, was hard. 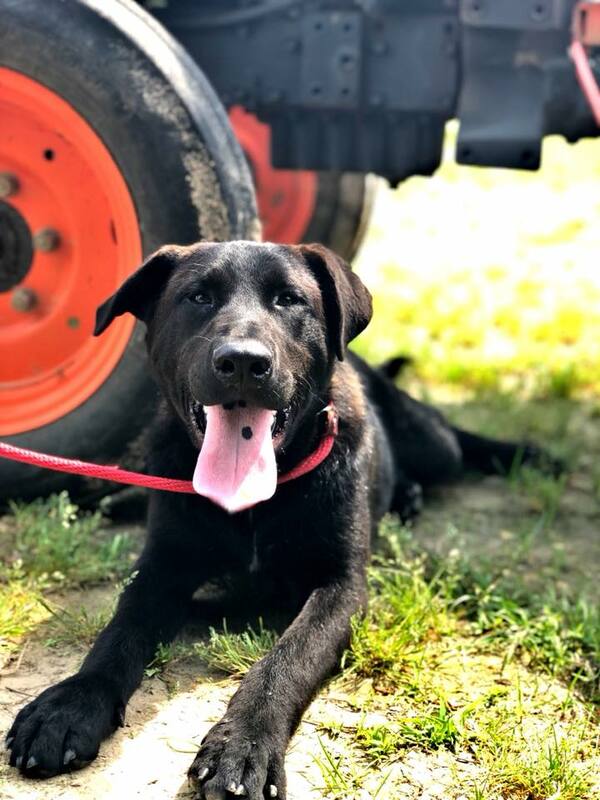 All we can do is hope they find fosters so they can make their way to us in Boston – an adventure in itself that us Northern volunteers got to experience at the beginning of the day when the Southern foster families dropped off their beloved fosters onto transport. The Southern fosters do this every week after their fosters get health certificates – essentially their passport to travel North! While it was tough witnessing a little boy and a grown man shed tears, each foster knows that the adventure leads to the greater good. An open spot in a shelter, and a loving home for a dog who is flighting for a loving family of their own.